Karnataka TET Results 2019: The Candidates who attempted the Karnataka TET Exam on 3rd February 2019, are eagerly waiting for the Karnataka TET Results. The Officials of The Government of Karnataka, Department of School Education are planning to release the Karnataka Teacher Eligibility Test Result in the month of February 2019. Moreover, many candidates from Karnataka state also attempted the exam. Thus, The selected candidates will be placed in Karnataka Location only. So, this is a very great opportunity for the candidates willing to work in the teaching field. The Government of Karnataka, Department of School Education this year recruiting many lots of skilled candidates and having the passion of work with the Government of Karnataka. As expected, many candidates attended for the Karnataka Teacher Eligibility Test 2019. The Results will be displayed on the official website for the Karnataka TET Cut Off Marks. Also, Karnataka Teacher Eligibility Test Merit List details are provided in the below sections. Also, the major details of the Results 2019 are mentioned in the below section in a table format. This reference will give you the overall information in brief. 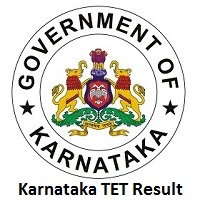 1.4 How To Download Karnataka TET Result 2019? Here is the good news for candidates who have applied for the Karnataka TET Recruitment 2019. In very few days within a few days, the Karnataka School Education Department is releasing the Karnataka TET Result 2019 on their official portal. Thus, Aspirants who are going to appear in the written exam can check out the Karnataka Teacher Eligibility Test Result. From below sections, you can get the details of the cut off marks and the Merit List. Exam Level. As known cut off marks are the minimum marks a candidate should secure in the Exam. Note down the below information in the table with category wise cut off marks. Candidates can have the total information regarding the Karnataka Teacher Eligibility Test Merit List from this section. As you know that the Merit List contains the List of the candidates who secured highest marks in the Written Exam. After downloading the Result, the user can search for the Merit List which is available on the official website itself. Accordingly, The main aspect for knowing the Merit List is it gives you confirm whether you got promoted to the further rounds or not. How To Download Karnataka TET Result 2019? Most Important thing, a candidate should know before downloading the KARTET Result 2019 form the Official site. Those are given in the step by step process in this section. Follow the steps while downloading your Karnataka TET Result 2019. Step-2: The Homepage appears on the screen. Step-3: Now, search for the link of Karnataka Teacher Eligibility Test Result on the homepage. Step-4: The Results link is available on the screen and click on it. Step-5: Now you need to enter all the details such as Hall Ticket Number etc. Step-6: Check whether the given details are correct or not. Step-7: After, that click on the submit button. Step-8: Then, the result will be displayed on the screen. Step-9: Finally, make a hard copy of that for your future use and keep it safe.